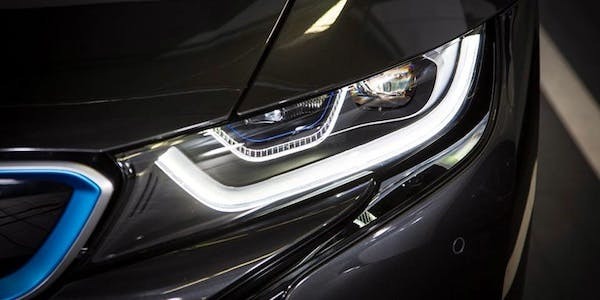 German car manufacturer Continental has teamed up with light specialist Osram to build a new type of car headlight bulb which could really help to improve road safety by the year 2020. Known as Eviyos, the state-of-the-art pixelated LED bulbs will be integrated into tiny sensors around the car and work to automatically change their shape and strength when presented with certain situations. This will allow them to instead focus all of their power on highlighting obstacles like pedestrians, vulnerable road users and very sharp bends which motorists need to aware of. Another similar type of bulb which is currently under development will be able to project holographic images of crossings and signs onto the road in front of a car using matrix and laser light technology enabling motorists to see them more clearly. This type of next-generation technology is expected to become available to fellow manufacturers by 2020 with Continental predicting we could see it featured in cars “pretty soon” after. The German company also believes these bulbs will become very important within the autonomous car industry where vehicles need to be able to communicate with each other better.